Bring a pot of salted water to a boil. Add the tortellini and cook until cooked through and floating, about 8 minutes. Drain. 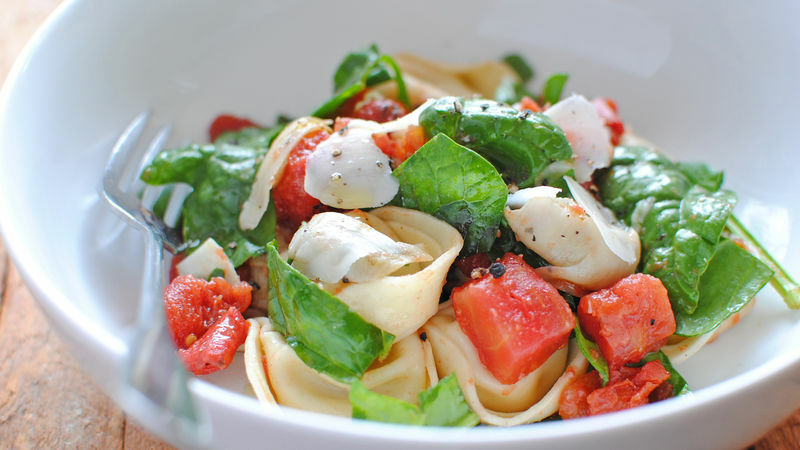 In a large bowl, combine the tortellini, spinach, tomatoes, artichoke hearts, basil and the pinch of garlic salt. Toss to combine. 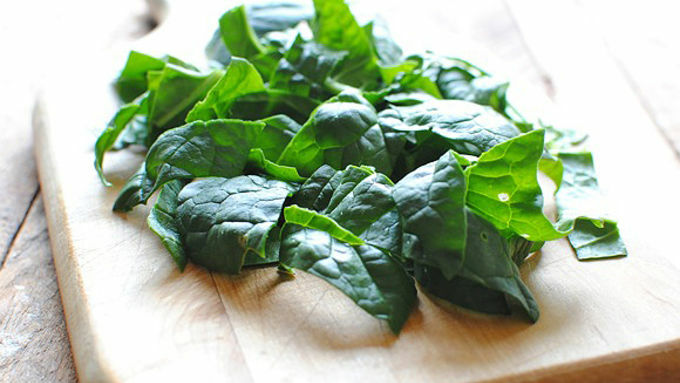 Serve immediately, garnished with parmesan shavings if desired. A pasta salad filled with so much awesomeness, even a doctor's warning is required. Warning: What you are about to read may cause sudden heart palpitations due to the simplest of ingredients and little to no effort on your part. Other symptoms may include heavy weeping, rooftop singing, neighborhood street dancing, repetitive fainting and a paralyzed shock face. See your doctor immediately if you experience any side effects after the reading of this post. Wow. I'm almost afraid to even show you now. Oh heck, let's live on the edge, shall we?! It's pasta salad season and I'm telling you WHUT, this one is a dooze-a-roozy. It comes together in a kiss of minutes and tastes like a pot of gold landed on your tongue. 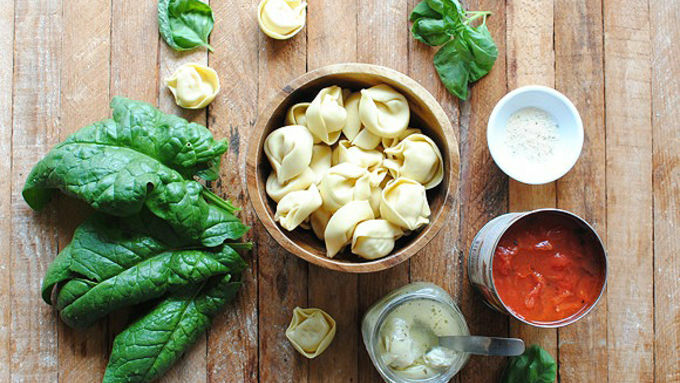 We have some hearty spinach, cheese tortellini, Muir Glen fire-roasted tomatoes, some artichoke hearts, fresh basil and a pinch of garlic salt. Serve at room temp for a pasta salad that will rock your core straight up and out of you. Or heat it up for a delightful dinner option! I did both. Not kidding. Please tell me you're still alive. HELLO?